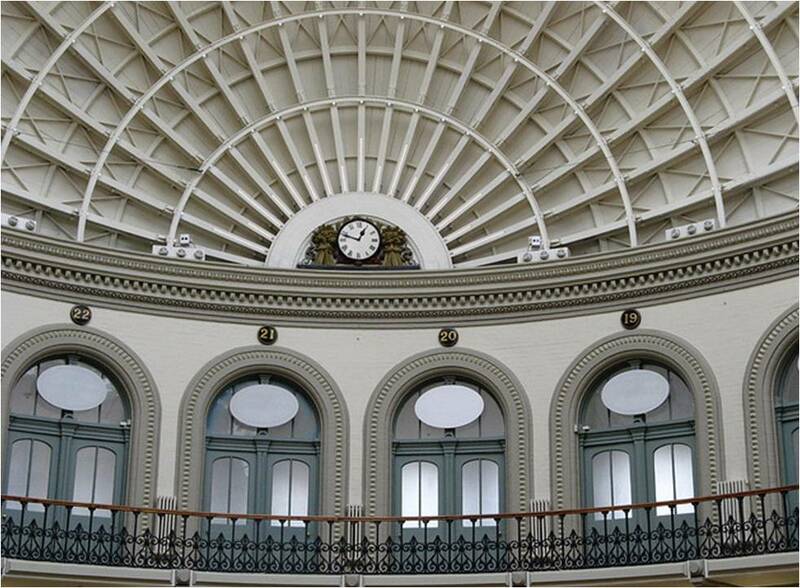 In 1934, famous Leeds clockmaker Potts of Leeds was purchased by Smith of Derby Group and clock maintenance responsibilities of the famous clock at the Leeds Corn Exchange was handed over. 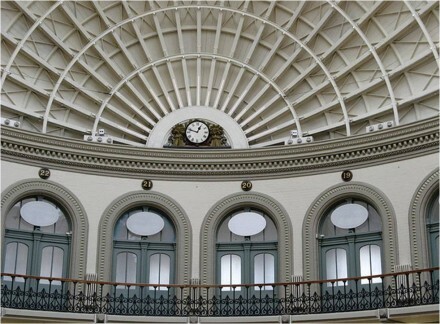 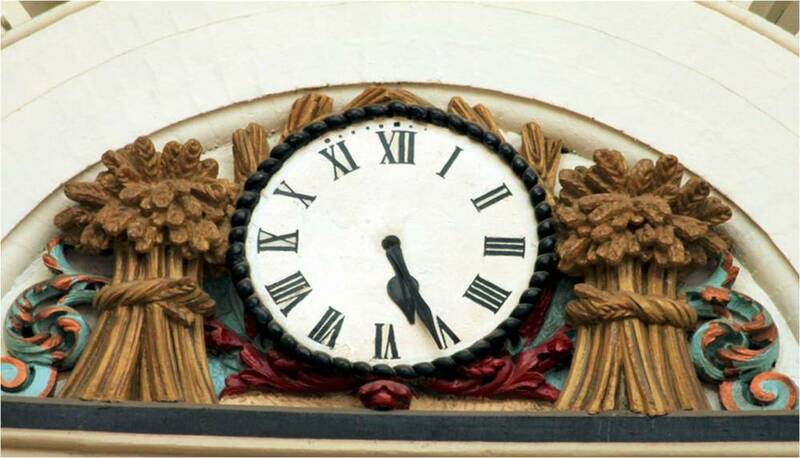 William Potts, a famous clockmaker from Leeds was commissioned to make the clock in 1862 for the new corn exchange. 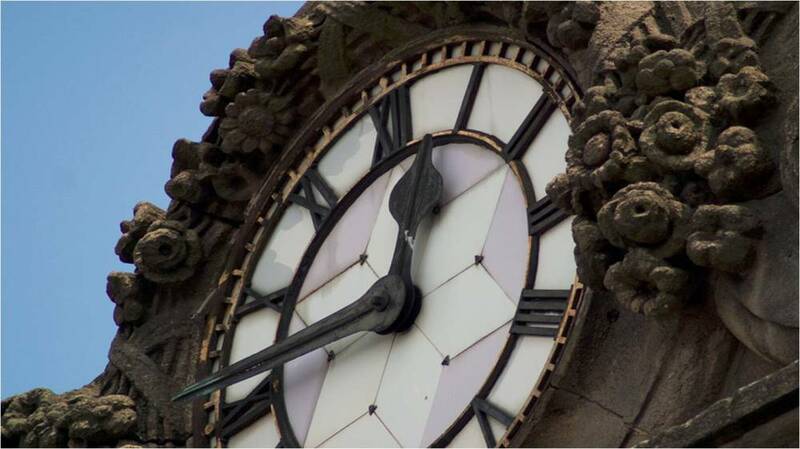 The building the clock is situated on was an architectural manifestation of Cuthbert Broderick and it is considered by many to be his greatest work. 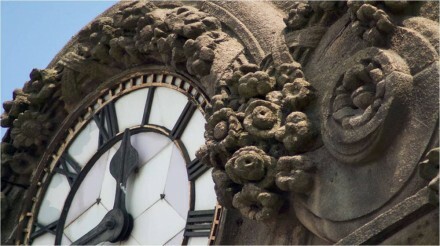 The exterior clock is set in the parapet above the main entrance just below the building’s unique oval dome, and is surrounded by elaborate scrolls. 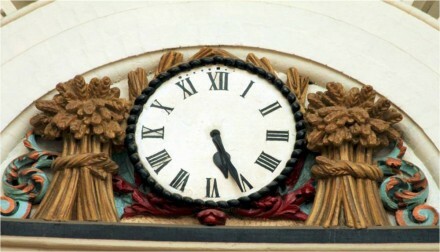 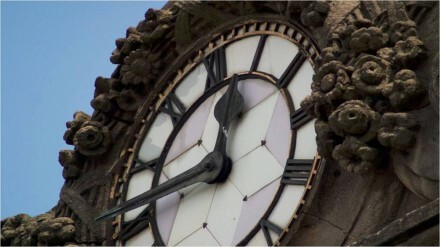 The clock is in good working order and the original dial remains, though the traditional movement has been replaced with a synchronous movement. 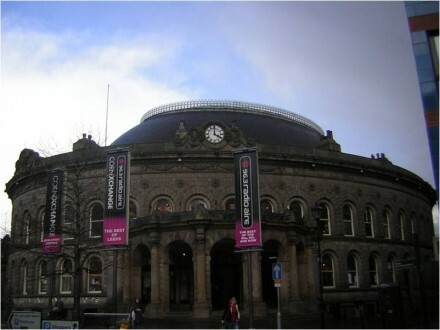 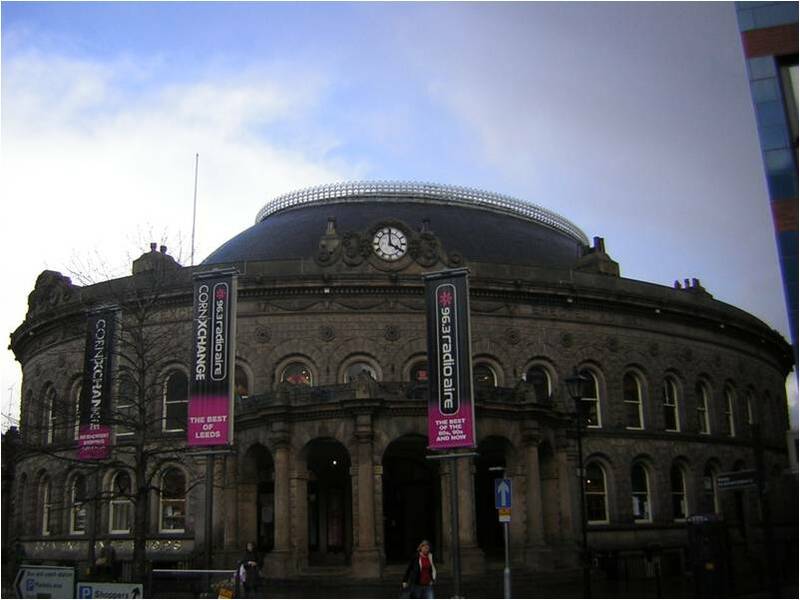 Leeds Corn Exchange is just one of three Corn Exchanges in the UK still operating in its traditional capacity as a centre for trade, although no longer simply trading corn.